The boxes are from YAHsss. They are very easy to assemble and I got white and gold. The items fit perfectly inside! Thestickystation was kind enough to customize stickers! I was most excited about this item. I love the diversity shown, the globe, and the Eid Mubarak. She was great to work with. Check out her Etsy shop here. I wanted to give something small and simple for the teachers too. Chocolate with UpANotchGifts chocolate wrappers. this past weekend with friends and the fam. It’s a reminder of prophet Abraham. so here’s a treat for you and me! 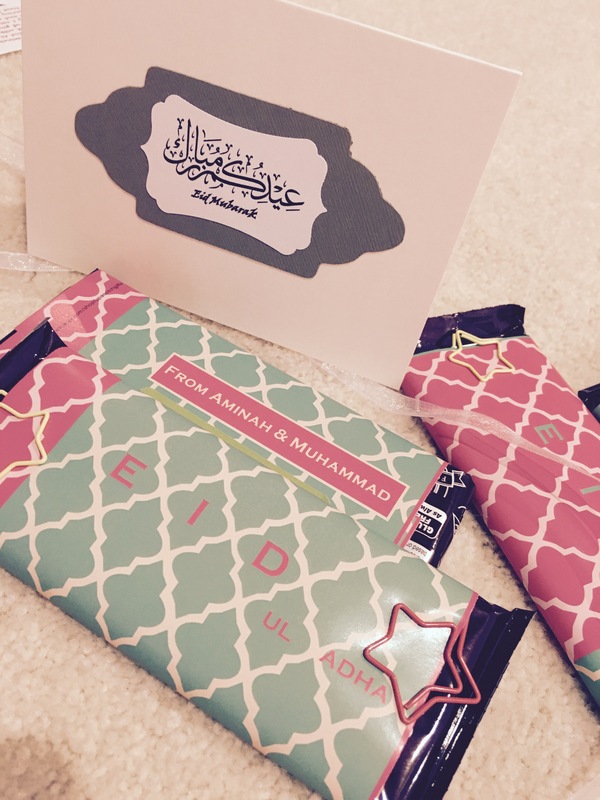 I read Noor Kids Discover Their Blessings (just the Eid part) to the class. The kids loved the book and we talked about different types of holidays they celebrated. 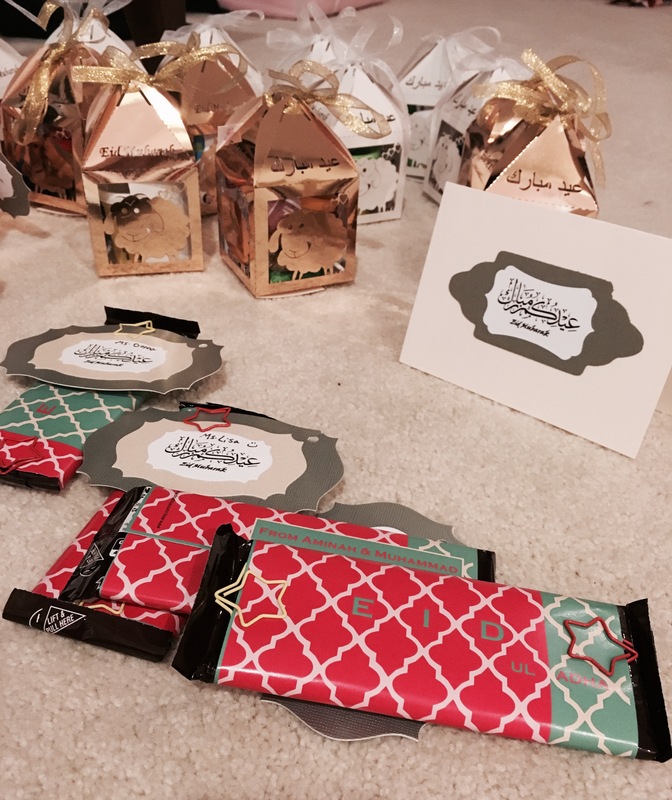 How did you celebrate Eid with your children’s classroom?